Brett Kavanaugh's seemingly tenuous relationship with the truth is still haunting those who watched him testify on Thursday. At times, the prospective Supreme Court justice abandoned composure to shed tears and scream, but at his most jarring he straight-up refused to answer questions directly, was unwilling to request an FBI investigation, and, as further research revealed, apparently lied under oath. In the days since the hearing, people have replayed his testimony in their minds and on their screens. They've turned Kavanaugh's words around over and over again to really let them simmer. And it seems the more thought that's given to his responses, the more discussions about his dishonesty rage on social media. One of the major, most general causes of concern about Kavanaugh's testimony is the simple fact that a federal judge, who quite literally navigates the law for a living, refused to answer so many key questions. call your senators and tell them to vote no for Kavanaugh - the future of our country deserves more than a privileged white boy who’s Spent his whole life over-drinking and can’t answer a simple question without acting more immature about it than a 4 year old. Following the hearing and testimonies of both Kavanaugh and Christine Blasey Ford — who accused Kavanaugh of sexual assault in an incident that occurred more than 30 years ago, when the two were in high school — Vox created a visually striking chart to compare the times Ford and Kavanaugh each answered or dodged a question. Ford's portion is covered in blue, which signifies she did her best to answer each question presented to her in her testimony, while Kavanaugh's chart is sprinkled with pink lines, a representation of the numerous times he dodged questions. When Kavanaugh did make an effort to answer basic questions, like those pertaining to his controversial senior yearbook writeup and personal calendar, it wasn't satisfactory. Again and again he wholeheartedly failed to provide accurate explanations and definitions for terms like "Devil’s Triangle," "boof," "ralph," and more — terms that any person with access to the internet could look up for themselves and fact check. And you'd better believe they did. Keep going back this morning to Kavanaugh lying to the committee about “Ralphing” and other yearbook items. With a straight face. Spicy food? Come on. I need help understanding something. Why would Kavanaugh lie about such inconsequential things as the definition of ralphing, booting, devil’s triangle- things so easily disproved. Why risk it? Kavanaugh also stated that 18-year-olds could legally drink in Maryland in 1982, which was true if you turned 18 before July 1. However, a simple search reveals Kavanaugh didn't turn 18 until Feb. 12, 1983 which means he wasn't legally allowed to drink until age 21 in Maryland. C'mon, dude. And then, of course, beyond questions surrounding whether it was legal for him to drink at all, there's his deep, deep love of beer itself. He never drank on weekdays, despite his beloved teenage calendar — an argued symbol of absolute truth — implying otherwise. He never drank in excess to the point of blacking out, despite saying "sometimes I had too many beers," in his opening statement; embarrassingly refusing to answer a question about drinking in excess; and that questionable section from his pal Mark Judge’s memoir, Wasted: Tales of a GenX Drunk, that describes a character Bart O’Kavanaugh "vomiting on someone’s car during Beach Week and then passing out." He has a "weak stomach with beer or with spicy food or anything." With all the conflicting beer-related information presented that day, it's no wonder people are still left with some serious questions and concerns. Some are even gathering evidence from trustworthy sources to create Twitter threads that prove Kavanaugh was far more than a light drinker in the past. For a guy who has never been blackout drunk in his life, man he loves his beer and drinking stories. Kavanaugh says being president of the Ralph Club is cause he had a weak stomach — why he likes ketchup on spaghetti — Whitehouse says: so the vomiting had to do with alcohol? K refuses to answer reciting his sports and academic record. "Man I love beer. I drink it all the time. Never got black out drunk though. I keep a diary of all of my movements all the time and it says I wasn't there, don't get the FBI involved. Bye." One of the most widely called out points Kavanaugh used to strengthen his own argument was that the possible witnesses Ford mentioned in her testimony — including Mark Judge, Patrick "P.J." Smyth, Leland Ingraham Keyser, and another unnamed boy — all denied the sexual assault ever took place. Kavanaugh leaned on the argument several times on Thursday, prompting many — including Senator Richard Blumenthal — to note that the claim was completely inaccurate. Blumenthal even took the time to publicly state that a person having "no recollection" of the event or not knowing the answer to a question is not the same as denying the event took place. Blumenthal, like Booker, is pointing out that Kavanaugh yesterday had said that four witnesses had denied Dr. Ford's account, where what they actually have said is that they do not remember / do not know. On Friday, after pleas from Democratic senators and support from outside parties like the American Bar Association and Dean of Yale Law School, Kavanaugh's Senate confirmation vote was delayed to accommodate a requested week-long FBI investigation. President Trump granted a short investigation that will remain limited in scope, and while it remains unclear if the FBI will focus solely on Ford's accusations or examine claims from Kavanaugh's other accusers, Julie Swetnick and Deborah Ramirez, here's hoping the country gains some additional sense of clarity on Ford's accusations and Kavanaugh's high school years beyond the vague, often confusing statements he made to the Senate Judiciary Committee. On this week’s Social Media Marketing Talk Show, we explore new LinkedIn ads features and Snapchat partnering with Amazon on new visual search tools. Our special guest this week is AJ Wilcox. If you’re new to the show, click on the green “Watch replay” button below and sign in or register to watch our latest episode from Friday, September 28, 2018. You can also listen to the show as an audio podcast, found on iTunes/Apple Podcast, Android, Google Play, Stitcher, and RSS. 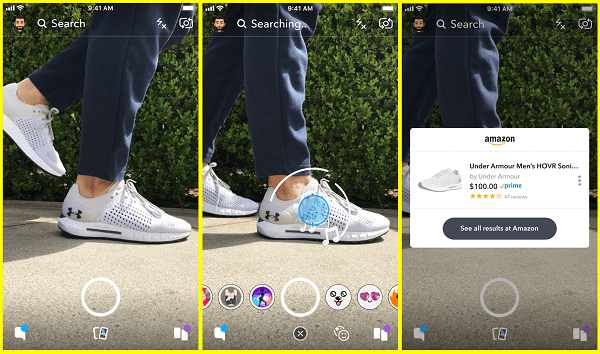 Snapchat also introduced new advanced pixel targeting features and announced the addition of more than 30 new agency partners tasked with helping advertisers build their eCommerce and direct response campaigns on the app. Has technology made finding a suitable candidate easier for companies or finding the right opening pain-less for applicants? The answer is a little more complicated than you might think. Companies who post job openings online benefit from exposure to a massive talent pool but also risk losing quality candidates during the time-intensive process of screening a deluge of applications. One recruiting expert recently estimated that each corporate job opening receives an average of 250 resumes–and the less specialized the position is, the higher that number becomes. Candidates looking for a good fit not only have to navigate annoying job application interfaces and crude screening procedures, they also have to deal with job scams and fake postings. A glut of vacancies and the realization that candidates establish brand loyalties and share brand experiences in their social networks have contributed to the “candidate-as-consumer” recruitment model. Hirers have to court passive and active candidates just as they would court consumers, developing and showing-off a positive workplace culture and an emotionally resonant brand. Technology that contributes negatively to the candidate experience can harm companies just like tech that degrades consumer’ experiences. One study found that 72% of candidates with “terrible” application experiences shared their feelings on sites such as glassdoor.com; this shows that recruiting tech can have long-term consequences for companies’ reputations. Companies looking to create a better job application experience are turning to technology, relying on better, more mobile-friendly, and less cumbersome job application interfaces. VR and AR are mostly known for their gaming applications, but a growing number of companies are beginning to recognize that they also have applications in the recruiting world. German railroad company Deutsche Bahn has started using VR headsets at job fairs to give recruits an immersive experience of different available positions. The headsets don’t just grab attention–even in a crowded field of employers and openings–they also help candidates assess whether the job would be a good fit for them before moving forward with interviews and site visits. Artificial intelligence isn’t just a sci-fi concept anymore. Recruiting is one of the many industries currently being shaped by this rapidly evolving technology. A 2017 study found that roughly a third of respondents already used AI at some point in their hiring process. Companies such as Ideal offer resume-screening AIs that can help companies filter torrents of online resumes for ideal candidates. Tools such as HireVue use AI to conduct video interviews with clients, analyzing their emotional intelligence, word choice, and other “soft skills” that are difficult to read through a resume alone. At its best, AI is increasing fairness in the application process by helping the most qualified candidates stand out. However, data scientists remind us that it’s essential to deploy AI in a manner that detects true job compatibility rather than replicating previous hiring biases. “Skill gaps” that keep employers from finding lasting quality candidates aren’t always about specific technical abilities. LinkedIn estimates that the U.S. is short about 1.4 million professionals with so-called “soft skills” such as problem-solving, emotional intelligence, and communication. While employers can screen candidates for specific technical abilities such as a programming language, screening for soft skills is notoriously tricky, particularly if companies conduct preliminary screenings before bringing candidates in for one-on-one interviews. A growing suite of assessment technologies now helps companies filter for candidates with excellent soft skills before entering the interview stage. Platforms such as WIN Learning, Capsim, and HireVue, can help companies measure soft skills. The blockchain is another technology sweeping several industries at once, and recruiting is no exception. The same immutable distributed ledger that supports complex, high-value transaction networks like Bitcoin can also store data related to the world of recruiting. Companies such as BHIRED.io are building high-quality hiring and recruiting platforms on top of a blockchain; this technology can protect high-quality data such as verified credentials attached to a biometric profile, incentivize positive contributions to job application platforms with cryptocurrency tokens, and safeguard applicants, hiring managers, and recruiters from fraud by creating tamper-proof reputation systems. 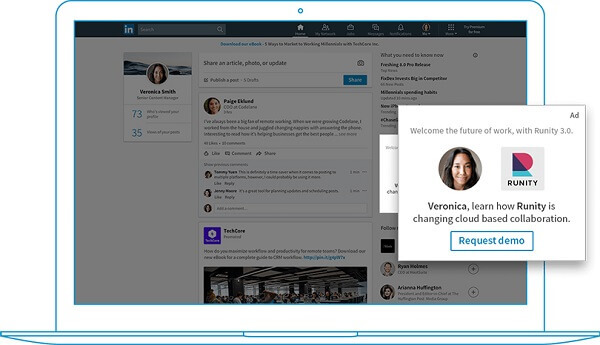 As technology continues to evolve, there’s no need for recruiting to remain out-of-date. The advancements mentioned above will help make the job hunt easier for everyone, whether they’re looking for the perfect job or the perfect employee. The post 5 Ways Technology Is Improving the Job Hunt appeared first on Social Media Explorer. Facebook is not only a great social media platform if you want to keep up with everything from your friends to the news, but it’s a great business tool that can be used to increase conversions, build a community, strengthen a brand, and more. With 1.47 billion daily active users, businesses can’t afford not to be using Facebook as part of their business and marketing strategy. Technology is always changing, and so are the policies, practices, and algorithms. As Facebook makes changes to everything from their algorithms to their core mission, Facebook ads, the way they work, and the practices to optimize them change too. If you’re not keeping up with those changes and adjusting your practices and campaigns as necessary, your campaigns are likely significantly less effective than before. Although there are guidelines and best practices to follow, each business is unique and so is each customer base, so there’s no way to know for sure that an ad will perform well until you test and prove it. If you’re coming up with ads, publishing them, and letting them run their course without looking at the analytics and seeing how they performed, then your Facebook ads will not work as well as they could. Not only is it important to test different ads and to analyze the results of each test, but it’s important to make adjustments accordingly. Even if you are looking at how certain ads performed, if you’re not adjusting your other ads to meet the standards that your ads that are performing well set, then you’re missing out on a lot of opportunities and not taking full advantage of the benefits that Facebook ads offer. 83 percent of Facebook users are women and 75 percent are men, but those aren’t the only things you need to know when you start running Facebook ad campaigns. Age range, location, and other demographics factor in as well. But you need to take it even further and get to know your customers and ideal customers on a personal level—not just where they live and how old they are, but what their favorite brands are, whether or not they like dogs, where they vacation every year, and any other information applicable to your company and product. If you don’t know your customers well, you can’t target your Facebook ads well, making them much less effective than they could be. What you write in your ad is extremely important, and if your copy is uninteresting and doesn’t grab the attention of your audience, then your ads aren’t going to be very effective. Your headline needs to grab attention, and the body copy should say what it is you’re selling and why your customer needs it, all in a few words. Not only should your copy be interesting, but it should be clear and concise. If you’re throwing in too many fluff words or too much jargon, are using images that have too many words on them, or are using headlines that sound like clickbait, you’re probably turning your potential customers off and rendering your Facebook ads ineffective. What does your website or landing page that customers are taken to after clicking your ad look like? 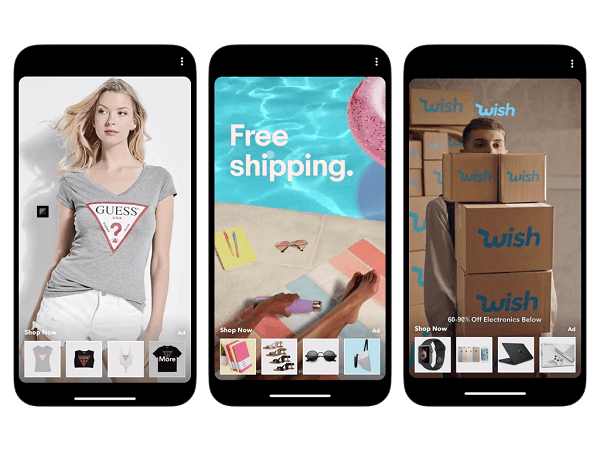 If it has a lot of text, flashing banners, pop-ups, unprofessional logos, and other inconsistencies, then it’s likely scaring off potential customers. Unprofessional translates to untrustworthy in the mind of many consumers and so your website could be counteracting all of the work your Facebook ads have done. Not only is it important to have a current, functional, professional website for potential customers to land on, but it’s also important to keep your Facebook page current and professional as well. If you’re not posting regularly, replying to comments and questions, and otherwise keeping your Facebook page up-to-date, it can be a point of concern for potential customers since they’ll wonder if you’re still in business, if you’re legitimate, and if they will even get an order that they place with you. Many customers will look into a company on Facebook, and if your page isn’t current, it could cost you that business and the price of the click on the ad. You shouldn’t be pouring all of your money into just one marketing channel or another, but it’s important that you have an appropriate budget for each. If your budget for Facebook ads is too low, then your ads won’t get the running time or exposure that they may need to get the ROI you should be getting. You don’t need to overspend but having too low a budget could be causing your Facebook ads to fail. Calls to action are an important part of any marketing. If you don’t include a strong call to action, people may not be inclined to click what they need to and make a conversion. If you’re using weak or generic calls to action on your Facebook ads, they may not be working as effectively as they could be. Using strong, enticing calls to action that evoke a sense of urgency or excitement is something you need to do if you want your Facebook ads to perform better. A lot of things could be causing your Facebook ads not to work as effectively as they should be. You may not have the time or know-how to fix all of them and get things running like they need to be, though. For example, if you don’t have the time to keep up with changes to Facebook’s algorithms and policies, if you don’t know how to set the optimal budget, or if you don’t even have time to keep your Facebook page active and current, then working on making your Facebook ads more effective can be hard. Instead of trying to take it all on yourself, hiring a trusted firm such as 180fusion may be the perfect solution to give you the results you need without having to hire extra employees or take too much time out of your schedule to figure things out on your own. Many times you can receive a free analysis, making it worth a shot if you want to start making the most of the Facebook ads that you have. What do you think is causing your Facebook ads to fail? Are you a big Pulp Fiction fan? Let us ruin that for you. The production company Elara Pictures posted a disturbing video mashup to Instagram Friday: the hamburger scene from Pulp Fiction alongside a few choice moments from Brett Kavanaugh's petulant testimony before the Senate Judiciary Committee. Remember how, in the movie, Samuel L. Jackson says "Check out the big brain on Brett?" And remember when Kavanaugh (a Brett) bragged about going to Yale Law School yesterday? You see where this is going. Please watch if you want to laugh very hard, then be enveloped by a crushing, seemingly insurmountable despair — and if you never want to watch another Tarantino movie again. You’re used to delegating tasks to your employees and dealing with merchants, accountants, lawyers, bankers, and everyone else who makes your operation possible. Communication skills are also important in your personal life. You need to manage the relationships with your family and friends while running a company at the same time. But how well are you communicating with your customers? Effective customer communication is the backbone of your business. Your ability to communicate can make or break your marketing campaigns and determine whether you can optimize the customer experience. You could have a great product, service, or promotion, but if you can’t communicate these things to your customers, your business could struggle. The Internet has made it possible for brands and consumers to contact each other from virtually anywhere at any time. You need to recognize this reality and use it to your advantage. With so many different distribution channels at your disposal, it’s imperative you apply your communication skills on all of these platforms. I see this particular problem often when giving consultations to business owners. They know how to write a perfect email newsletter that converts, but their Facebook posts are awful. Or they have an awesome Instagram marketing strategy but struggle with blogging. To be successful, you need to be able to communicate with your customers on all your distribution channels. I’ll explain what you need to do to make this happen. Your communication style and voice need to be consistent across every channel. This helps create authenticity. The majority of consumers don’t think that brands are distributing authentic content. Furthermore, 86% of consumers say authenticity is an important factor when determining whether they’ll support a brand. Your customers want you to be authentic. Establishing an authentic voice will give you a huge advantage over your competitors. All your content needs to sound as if it’s coming from the same person, even if it’s not. For example, you might write your blogs, but someone from your staff may be in charge of email newsletters. A third person could be responsible for your social media content. There is nothing wrong with delegating tasks this way, but it can create a discrepancy when it comes to being authentic. The best way to overcome this hurdle is establish some ground rules. Create a writing guide that everyone who produces content can reference. You can even take this guide one step further. For example, you could say that every piece of content you produce, whether it’s a blog, email, or social media post, always needs to start with an inspirational quote. If your writing is consistent, it creates authenticity. That way when your customers engage with your brand on multiple channels, they’ll feel they’re listening to the same voice. Part of having effective communication means being active on as many platforms as possible. Your increased social media presence makes it easier for your customers to reach you. Don’t worry—this is a good thing. But if you’re not constantly monitoring your comments, you’re failing your customers when it comes to communication. Social media is one of the top channels for consumers to voice their complaints. Put yourself in the shoes of your customers. You’ve got to understand their thought process and mindset. They just experienced some sort of problem with your business. It could have been related to one of your products, services, or employees. On top of the issue, they took time out of their busy day to let you know about it by commenting on one of your social media posts. Even though this comment might be negative, it’s still a good sign. Why? You haven’t lost this customer yet. Research shows that 96% of unhappy customers don’t complain. They just leave and don’t come back. If one of your customers is complaining via social media, you still have a chance to keep their business as long as you respond in a timely fashion. Studies show that 84% of consumers expect a business to respond to their social media comments within 24 hours of posting. But this also depends on the platform. For instance, 72% of users on Twitter expect brands to respond within an hour. I know what you’re thinking. How could you possibly keep track of all your social media comments each day while trying to run your company at the same time? Those of you who don’t have a social media manager or the budget to hire one need to take advantage of my favorite time-saving social media marketing tools. Certain tools can notify you whenever someone comments on one of your posts. You can get these notifications on one platform instead of having to monitor each social site individually. For your email marketing campaigns to be successful, you need to make sure you’re delivering relevant content to your subscribers. After all, your customers have different wants, needs, and preferences. It’s nearly impossible to create content that can appeal to all your customers. That’s why segmenting your subscribers will improve your communication with everyone. Here’s a staggering fact you need to take into consideration. A person who works in an office gets on average 121 emails a day. Assuming they work five days per week, that translates to over 600 emails per week and more than 31,000 emails per year. Now, let’s say you email your subscribers once a week, which is a reasonable assumption. Your messages are just a fraction of a percent of the total number of emails your customers receive. If your content isn’t adding value to their lives, they won’t engage with it. Surveys indicate that 73% of marketers say their top priority is to create more engaging content. Segmenting your subscribers will make your communication with them more effective. Here’s why. Let’s say you run an ecommerce clothing business. You ship products globally, but the majority of your customers are located in the United States. Subscribers who are men living in Miami, Florida, shouldn’t be getting the same emails as women living in St. Paul, Minnesota. Emailing a promotion for bathing suits and tank tops in December to all your customers is not an effective way to manage your communication. But if you segment your subscribers, it will help ensure your marketing emails are more relevant to each recipient. As a consumer, I love using live chat. It’s just so simple. I don’t need to pick up the phone, wait on hold, and talk to someone. It also saves me a trip back to the store. Plus, I buy so many things online that it’s not even practical or realistic for me to visit businesses in-person after making a purchase. Live chat makes things easier. As a consumer, I’m not alone in that preference. In fact, 73% of consumers say live chat is their preferred method of customer service communication. This ranked as the top option. If live chat makes your customers’ lives easier and it’s their preferred method of communication, why aren’t you using it? Some of you may just not know where to start. I get it. New technology can be intimidating. But you need to be able to adapt and make changes if you want to survive. Your live chat feature should be easily accessible on your website. Make sure you respond quickly to these messages. Your staff need to be knowledgeable and properly trained for this communication method to be effective. If you need help setting this up, refer to my guide on how to provide better customer service by implementing live chat. This relates to the concept of authenticity. Your customers want to communicate with a person. It shouldn’t feel as if they’re dealing with a robot or some nameless and faceless brand. Use language your audience can relate to. Your content shouldn’t sound like it’s coming from a doctor or a lawyer, even if it is. Speak in terms your customers use every day. Just make sure you keep it professional. I normally wouldn’t recommend using slang, but there are times when it’s OK if that terminology fits with your overall brand image. For example, a company that sells surfboards might use terms such as rad, stoked, or gnarly in its marketing emails. This would resonate with its target audience as opposed to a formal greeting, like Dear Sir or Madam. As far as the exact language you’re using, that’s a judgment call on your part. But I recommend keeping communication casual and conversational. Outside of the obvious financial reasons, you must have other motivation for operating. You need to be able to tell your customers why you exist and how you can make their lives better. That can be conveyed in your brand message. But if you fail to communicate your message or if it’s too ambiguous, you won’t have a positive impact on your customers. Buying products from this company means you’re helping people internationally. TOMS helps provide those less fortunate with shoes, clean water, vision needs, and safe births. The company even supports a bullying prevention campaign. TOMS has a dedicated landing page explaining what they give, and the message is on other parts of its website as well. You don’t need to be a nonprofit organization or affiliated with certain charities to have a strong brand message. For example, let’s say you have a meal delivery service. Your brand message can convey something along the lines of helping busy professionals eat healthy. Once you’re able to identify your brand message, make sure you can display it clearly on all your distribution channels. Just like authenticity, consistency is also key when it comes to effective communication. I mentioned earlier creating a guide to keep your writing style consistent on every channel. But you can take this one step further with all your promotions as well. It all starts with your goal. Before you run any type of marketing campaign, you need to clearly identify this goal. What do you want the result of this campaign to be? It could be acquiring more website traffic, adding email subscribers, increasing your social media followers, or driving sales to your newest product. Whatever your goal is, the easiest way to achieve it is by being consistent on all your channels. If you run a promotion on Instagram, make sure your website shows the sale too. Otherwise, it can create confusion for your customers. The company posted this promotion on its Facebook page. Its fall sale advertises flights starting at $49 one-way. There are certain restrictions and conditions for the sale. Customers need to book their flights by a certain day and travel within a certain time frame as well. There are even a couple of blackout dates. Either way, Jetblue clearly communicated this promotion in this Facebook post. As you can see from what I’ve highlighted, the same sale is being advertised. Even though the style, placement, format, and images differ on each distribution channel, the message remains the same. In addition to improving the way you communicate with your customers, being consistent will ultimately help you increase conversions. You need to be able to communicate with your customers on all your distribution channels. This should go without saying. However, it’s important for you to recognize which networks your customers are using. Now you can prioritize this communication based on the platforms your customers prefer. For example, let’s say you segment your target audience with generational marketing. After doing this, you’ve discovered that the vast majority of your customers are Baby Boomers. Now you need to figure out how to reach them. Based on this research, it wouldn’t make sense for you to focus on Instagram and Snapchat if you’re marketing to Baby Boomers. This would obviously be much different if you were targeting Millennials or Generation X. You should still have active profiles on as many platforms as possible, but you need to know which ones are reaching your customers. Communication is an important aspect in both life and business. As a marketer, you need to be able to effectively communicate with your customers on all your distribution channels. Learn how to create an authentic voice. Monitor your comments on social media and respond to those customers, especially if they’re voicing a complaint. Segment your email subscribers to deliver the most relevant content to everyone. Implement a live chat feature on your website. Speak in terms your audience can understand. Make sure you clearly define and communicate your brand message across every channel. Be consistent. Figure out which channels your customers use the most, and prioritize those means of communication. If you follow the tips I’ve outlined in this guide, you’ll be able to improve your customer communication tactics across all your distribution channels. How are you leveraging your distribution channels to effectively communicate with your customers? Managing your Twitter followers can feel like a fulltime job, even for professional marketers. Wouldn’t it be great if you could just schedule a couple of tweets and then suddenly you had 10,000 super-engaged followers bringing you regular business? Not going to happen. To make Twitter to work for you and your business, you need to be proactive in figuring out how to manage Twitter followers. And by proactive we mean having clear objectives, defining a routine and sticking to it. All that takes time – marketers and small business people can end up spending over an hour a day working on their Twitter accounts. That’s time that could be better spent on other stuff that your business needs. It’s possible to reduce your Twitter management time to just 10 minutes a day, but only if you define a clear strategy and make use of some of the social media management tools out there to help you. Let’s break it down minute by minute to help you manage your Twitter followers in 10 minutes a day. Forget the “how” for a second. Why do we need to manage followers? Back up a minute. What does “manage twitter followers” mean exactly? It means taking a proactive approach to who you follow and, perhaps more importantly, who follows you. Back in the early of Twitter, if someone followed you you usually followed them back. That seemed like the polite thing to do, right? Polite, yes. But it’s not a good policy for several reasons. First, Twitter limits the number of accounts you can follow to 5000 (unless you’re a mega-influencer with tens of thousands of followers). That means if you’re following a lot of random accounts, you won’t be able to follow accounts that could really bring you value in the future. Second, if your followers are entirely made up of bots or follow-for-follow accounts they will bring you minimal value. Twitter is a tool for meaningful connections that could turn into future collaborations. No one ever had a meaningful connection with a bot in some far-flung country (probably). Thirdly, if you don’t stay on top of the number of accounts you follow and how your account interface is organised, your home-feed will become way too crowded and full of useless, spammy tweets. Before getting started on any of these, make sure you define your Twitter strategy and spruce up your profile. Now you’re ready to dedicate less than 10 mins a day to the task. Finding people to follow is one thing. Getting them to follow you back (organically) is a whole new challenge on top of that. First up, how do you find relevant potential followers? These should be people who will help you reach your marketing objectives, will find your content valuable and will bring interesting information to your Twitter timeline. Start off taking full advantage of the tools Twitter itself offers. If you haven’t already, Upload your Gmail or Outlook address to Twitter and select who you want to follow. You can do that by Clicking ‘Find people you know’ in the who to follow section of your profile. Then go to Twitter’s advanced search feature. You can search people by keyword, language and location. You can even find all the people who @mention another Twitter user, and filter by date range. To see how powerful this is, let’s take an example. You want to connect with social media marketers in New York, especially those who are fans of Twitter guru Mark Schaefer and wanted to engage him. Key @markwschaefer into the ‘To these accounts’ field of the advanced search form, restrict to 15 miles near NYC and click Search. Twitter will bring up a ton of accounts. All you need to do is follow them and decide how you’re going to get them to follow you back. More on that soon. There are also tools outside of Twitter’s own interface that can help and you find relevant followers. If you’re looking for a social media management tool that helps you identify potential new followers based on keywords and connections you could try Commun.it. The tool gives you daily updates on who’s following you, and recommends followers based on your interests and keywords. You can also interact with potential new followers right from the Commun.it interface, which brings us on to our second point. How to get people to follow you once you’ve found them and identified them as relevant. Put all the accounts you want to convert into followers into a Private Twitter list (they won’t be notified as long as it’s Private). Every day, spend a couple of minutes revising their tweets and conversations. Don’t worry, this isn’t creepy, all this information is public. When your ideal followers tweet something that you can respond to, make sure you do by giving them something of value. Solve a problem they tweet about, send them a great piece of content that might make their day better, find a point of connection and bring something to the conversation. Once you connect with your potential follower with something valuable for them, they’ll follow you back. Managing your “bad” followers is just as important as managing your good ones. Bad followers will reduce your engagement, reduce your impact on the network and just downright spoil your Twitter experience. Follow-for-Follow-back: These guys only follow you to see if you’ll follow them back. Then they slyly Unfollow you a day later. They get another follower, you get nothing in return. This is against Twitter’s TOS. Shucksters: All those people who’s bio reads “I wanted to take control of my life, work from home and earn millions of $… so I joined THIS PROGRAM…”. They’re schucksters and won’t bring any benefits to your timeline. Identifying these harmful followers can seem like a mammoth task, especially once your followers number 200 or more. Free tools like Twitter Audit help you identify bots that follow you. Of course then you have to go and search for each in your follower list and unfollow them. Some Follow-for-Follow-back accounts will add a hashtag so you know what their deal is. But if they don’t identifying them is almost impossible without a social media management tool, because Twitter doesn’t send notifications about Unfollows. Then just spend two minutes a day going through these suggestions and Unfollowing right there in the Commun.it interface. You don’t have to adhere to all the suggestions. This is the only way you’ll stay on top of undesirable followers and still keep your Twitter follower management to under 10 minutes a day. So you’ve got rid of bad followers and found good ones. The final part of your daily Twitter management is to start interacting with these valuable followers in the right way and at the right time. Interaction is tricky. Your Twitter account is personal to you and therefore should be infused with your voice. Don’t pretend to be something you’re not, but don’t be rude and disinhibited either – it’s best practice to be courteous, curious and consistent. Set up a regular schedule of posts you’re going to tweet out to keep followers engaged. Sadly you can’t schedule tweets to go out later from the Twitter interface itself, but you can use a management tool to set up a varied schedule of retweets and original tweets to go out to your audience weeks in advance. If you’re using Commun.it you can rely on the tool’s ‘best time to post’ feature, which chooses the optimum time to send out your tweets based on your audience. Spend the extra minute here figuring out what are the best hashtags to use. You can use a directory like Hashtags.org to identify the hashtags that will work for you and engage potential followers. Proactively managing your followers on Twitter is a must-do if you want to find value via the social network. But being proactive can take up time that you should be dedicating to other things. Luckily, with some smart tool use and a lot of self-organization, it’s possible to keep Twitter management to less than 10 minutes a day. Identify “good” and “bad” followers, and share the right content with the right people at the right time and you’ll see your Twitter engagement (and enjoyment!) increase fast. Want your Facebook funnel to be more profitable? Wondering how Facebook lead ads can help? To explore how to sell with Facebook lead ads in an unconventional way, I interview Oli Billson. In this episode, I interview Oli Billson. He’s a business growth expert who specializes in direct response and marketing automation. He’s co-host of Path to Purchase Podcast, and his course is called Next Level Growth. Oli explains why a mobile-only funnel that collects phone numbers helps you have conversations that improve sales. 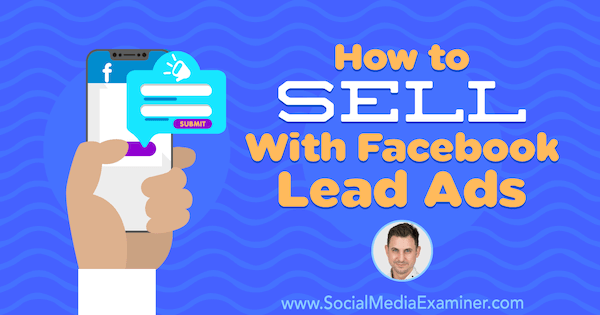 You’ll also discover tips for setting up Facebook lead ads, qualifying leads, and texting with prospects. 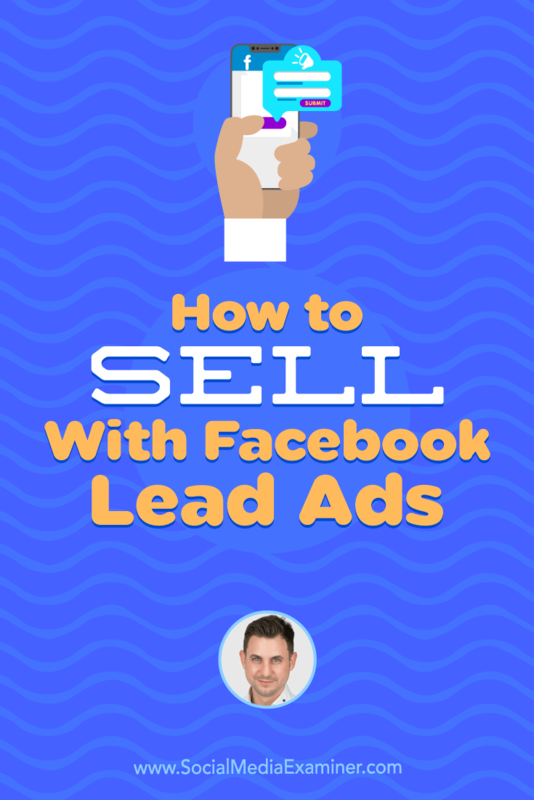 How to Sell With Facebook Lead Ads featuring insights from Oli Billson on the Social Media Marketing Podcast. Oli grew up in the UK, and at a young age, he became a high-performance tennis player who played all over the world. After he fell out of love with tennis, he needed another way to channel his energy. He’d always looked up to his father, who was in business, so when Oli was 15 years old, he started his first business building custom computers. The business grew quickly, and soon he was exporting computers to Asia. Oli went on to build several businesses fairly organically and through mainstream media advertising. Then in 2003, he started advertising with Google AdWords. At the time, pay per click was new, and the ads had amazing results with cheap leads and quality customers. Because Oli believes no one should rely on a single traffic source, he was quick to start running ads when Facebook introduced its advertising platform. Google AdWords was intent-based, whereas Facebook ads worked more like display advertising. Oli viewed Facebook ads as a huge opportunity to dial into all of the demographic and psychographic details for audience targeting. 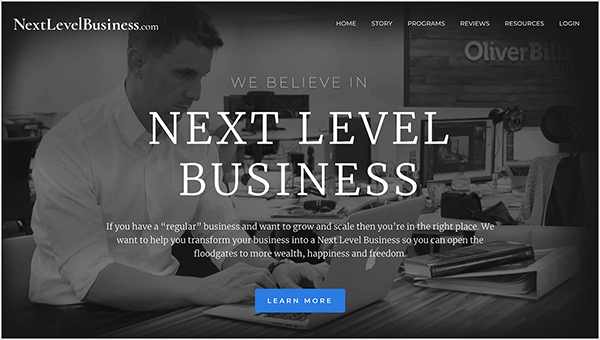 Today, Oli spends most of his time running Next Level Business, an eLearning platform that helps entrepreneurs and business owners grow their businesses beyond seven figures. He also runs an agency called Oliver Billson that does marketing and consulting for thought leaders. Listen to the show to hear more about Oli’s experience with Google AdWords. When your sales process relies on someone having a conversation with a prospect to make the sale, the funnel needs to collect information that helps you have that conversation. Often, funnels that don’t work aren’t designed with this end conversation in mind. 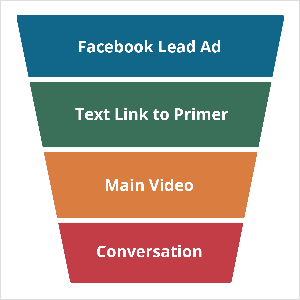 Instead, these funnels focus on activity at the top of the funnel. For instance, a funnel might generate leads, but those leads don’t convert into prospects with whom you can have a quality conversation and make a sale. Traditionally, marketers generate brand awareness through advertising on various broadcasting media or online, and then the sales team actually talks to people. Now that almost everything is sold online, the sales process has lost a little bit of the human touch. There are still plenty of products, though, that require the seller to talk through the sale with potential customers. Oli has found that even when an automated, end-to-end marketing sales funnel with Facebook Ads is working, it’s not as profitable as it could be. So retooling your funnel to focus on conversations has a lot of side benefits over an automated sales process. Listen to the show to hear Oli share more about who can use marketing and sales tactics focused on conversations. Oli finds most people focus on driving Facebook traffic offsite using the Conversions objective. This approach is great if you want to send people to a landing page, offer value, collect information, and bring them into a funnel. 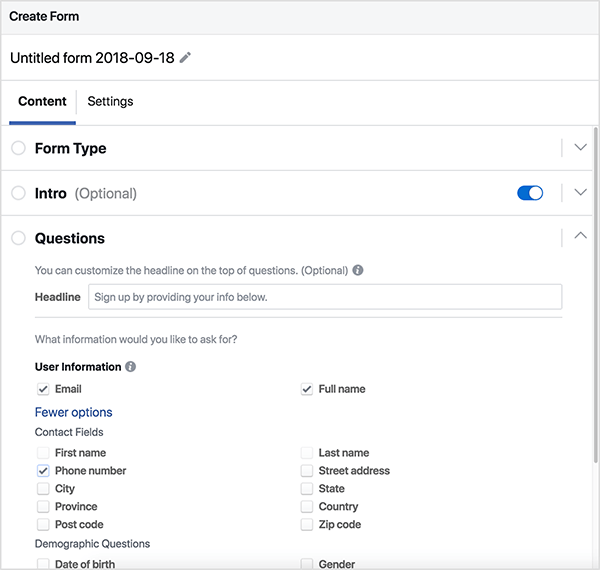 However, in a funnel focused on having a conversation, Oli recommends using lead ads, which provide a form users fill out so you can collect phone numbers. Although you may have used lead ads without success in the past, most people use them to collect an email address instead of a phone number. Many people sign into Facebook with an email they rarely use every day, whereas the phone numbers they provide often don’t change and are more likely to be valid. Also, many people provide their phone number to Facebook for security purposes. Lead ads can pre-populate with that information, which takes friction out of the process. For the lead ad your audience sees in their news feed, a video that offers value works well. To illustrate, the video might share a case study or a demo. When setting up the form for a lead ad, Oli makes all of the fields required. First, he asks for the user’s name so he can personalize the follow-up. Then he asks for a phone number and email. The email is a secondary follow-up option. Finally, he asks a custom question: “Can we instantly text you a link to the video?” In the form, the user can select Yes or No from a drop-down menu. With this approach to lead ads, you deliver a message that’s almost 100% likely to be opened because open rates on text messages are so high. You also open channels of communication you’ll need in the sales process. And you can pass all of the contact information from the lead ad form to your CRM and autoresponder system (Infusionsoft, Ontraport, or ActiveCampaign, to name a few). 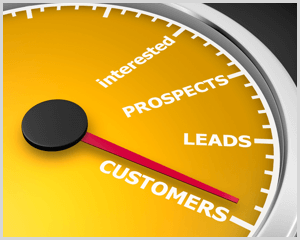 After your lead ad collects the desired information, you need to qualify the leads. You want leads who are inclined to buy and know what you offer, how much it costs, and all of the other things that overcome real obstacles to a sale. When you qualify leads, you educate them about your product and create hoops for people to jump through so you talk with only the most qualified people. Listen to the show to hear my thoughts about the email address users provide to Facebook. Although Messenger bots are popular, Oli focuses on phone numbers over Messenger because text messages are more convenient. He also wants leads to complete steps in which they make micro-commitments to his company. Most marketers want people to move through a funnel quickly, but Oli wants to slow the process down so he can find the most qualified leads. With text messages, Oli is also able to move people’s attention away from Facebook and onto a page where he has their full focus and attention. If you do use Messenger, you can create a ManyChat URL on the lead ad’s thank-you screen. Like a ManyChat button on your website, the URL can subscribe people to ManyChat after they complete your lead ad form. 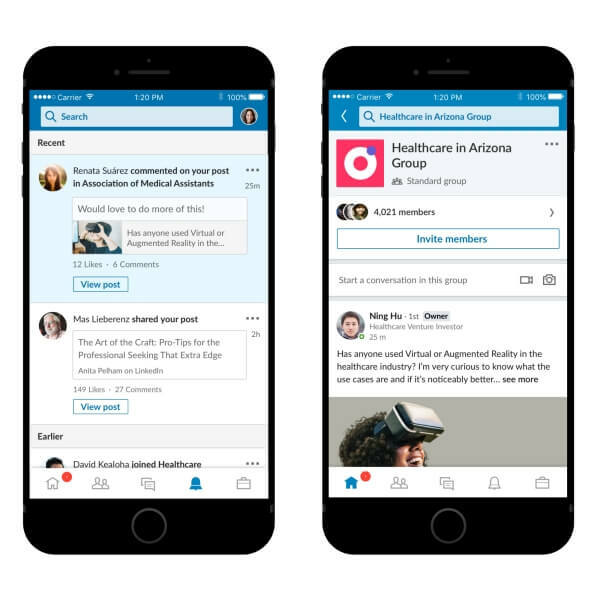 ManyChat can then be another way to follow up with people who respond to your lead ad. The ManyChat URL can also help you respond if people want to talk right away. 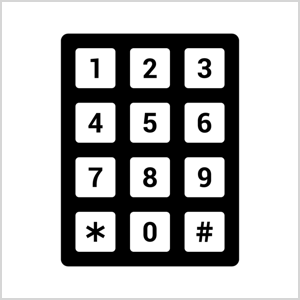 Listen to the show to hear my thoughts on the limitations of Messenger versus phone numbers. To explain the phone funnel framework in more detail, Oli shares an example of a business that sells franchises. These franchises are high-ticket sales of $25,000. For this example, the Facebook lead ad offers a case study video. Anyone who fills out the lead ad form receives a text with a link to the video. When they open that link on their mobile device, they see a primer video page. A primer video page is a simple web page with a video from the founder of the franchise. The purpose of the page is to slow down the process and frame the video people are about to watch. The page also creates a transition from Facebook to a long informational video, which is like a webinar. Without the primer page, the funnel would lose people. The content of the primer page thanks people for opening the link and whets people’s appetite for the video by explaining what’s in it. At the end, the page acknowledges people’s pain points by saying something like, “If you’re looking to quit the 9 to 5 and escape the rat race, then this video is definitely for you.” Basically, the text reaffirms that people are in the right place. Then people see a primer video. This face-to-camera video creates a connection and the feeling of a conversation, much like the actual conversation the business hopes to have later with very qualified leads. The primer video is only about 2-3 minutes and sets up the main video. At the end of the primer video, the speaker asks the viewer to click a button to watch the main video. By the time leads reach the main video, they understand the video is about 25 minutes so they can set aside time to watch it. If they don’t watch it, Oli and his team know because they track the link from the text message and whether recipients watch the primer video. If someone doesn’t watch a video, contingencies get them back on track. The ultimate goal is for people to watch the main event video. Oli has run millions of dollars worth of just-in-time webinars for clients. The metrics show people make a purchase, schedule a call, or take another action only if they consume the webinar. Thus the phone funnel framework is beneficial because people engage throughout the process. People who get to the main event video watch it. In the main event video for the franchise, the video shares three or four points that explain what the franchise is about, who the franchise is for, who it’s not for, why the speaker is knowledgeable about the topic, and so on. The end of the video segues to the idea that the viewer has two choices: implement their own idea or schedule a call to discuss their unique situation. 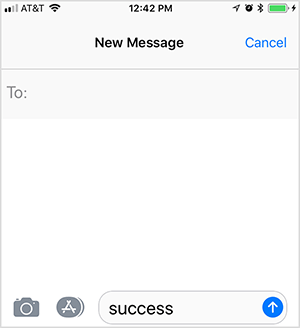 Because the prospect is on a mobile phone, Oli asks them to text the word success (or another trigger keyword). This tactic is also convenient but presents a small hurdle that ensures you talk with qualified people. After someone texts the keyword, they receive a link to schedule a conversation automatically, which is another way to slow the process and screen for highly qualified leads. When you do have a conversation with a prospect, the video can then be a conversation starter. You can ask what people think of the concepts or tactics the video introduces and whether the prospect has any questions about what they learned. Then the phone funnel framework generated 624 phone appointments, which cost $144 per appointment. From the phone appointments, Oli’s client sold 34 franchises at $25,000, which isn’t bad for them and totaled $850,000 in revenue. So looking at the Facebook ad spend, the cost of acquisition was $2,600, and the franchise owner got a 9.5 times return on ad spend. The phone funnel framework also simplified the technical setup and improved the sales process in other ways. Consumption of the main video increased significantly, resulting in higher-quality conversations. Because incoming leads were more qualified, the company reduced the number of franchise coordinators (from six to one), outbound calls, and lead-to-buy time (by 21 days). Oli says you can use this approach for any business such as a high-ticket coaching company, a consulting business, an agency, a SaaS business, or even a brick-and-mortar business. The framework is applicable anytime you want people to schedule a time on your calendar to talk with you. Oli has used this tactic successfully for price points as low as $1,000. Many businesses are surprised by the idea of using salespeople instead of an automated process for a $1,000 price point. However, what Oli has found is that the sales conversations significantly shorten the lead-to-buy time compared to autonomous sales. For any business that needs to have a conversation to sell its product, reducing lead-to-buy time is important. You want to move the leads your Facebook ads generate toward quality sales conversations, and by texting those leads, you can use your sales staff like a customer support mechanism such as live chat. Those text conversations can then bubble up to phone calls. 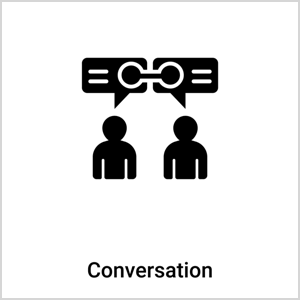 With texting, leads can also communicate in the way they want to communicate. When you send emails every day, the recipient feels like the company is relentless in its attempts to sell something. However, when you’re casually texting people, the experience feels totally different, and people are more likely to text you back if you ask the right questions. Listen to the show to hear Oli and me discuss how Social Media Examiner could use his framework to sell sponsorships for Social Media Marketing World. Oli says automating and tracking an SMS message is pretty simple. 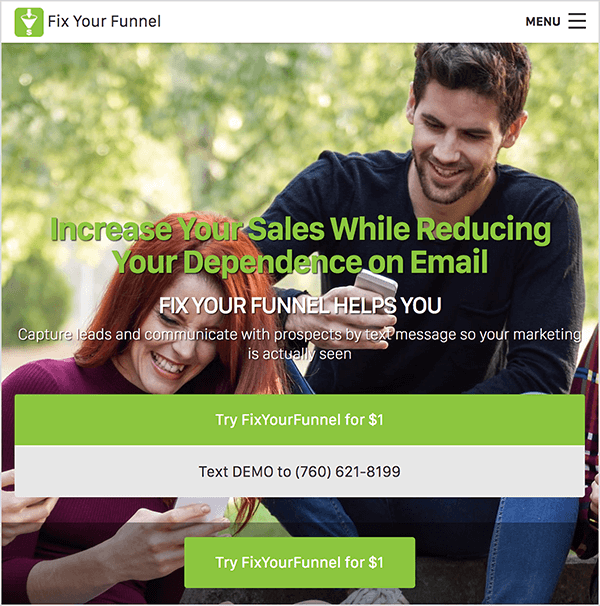 If you use Infusionsoft, you can send the messages with Fix Your Funnel. If you don’t use Infusionsoft, you’ll want to use YetiText, which connects with many popular autoresponder services. Although the text messages are mostly automated, the recipient can reply to any of them. To illustrate, for every milestone in that process, contingencies are automated to get people back to the appropriate milestone in the funnel. However, if someone needs to cancel the call, they can still simply text you, and you can reschedule them if necessary. Oli then explains what the automated contingencies are: if someone requests the video but doesn’t click to watch the primer video, if someone watches the primer video but not all of the main event video, if someone watches the main event video but doesn’t text the keyword, and if someone texts the keyword but doesn’t schedule. When those situations occur, the lead receives an automated text. Listen to the show to hear my thoughts on the advantages of communicating via text messages. 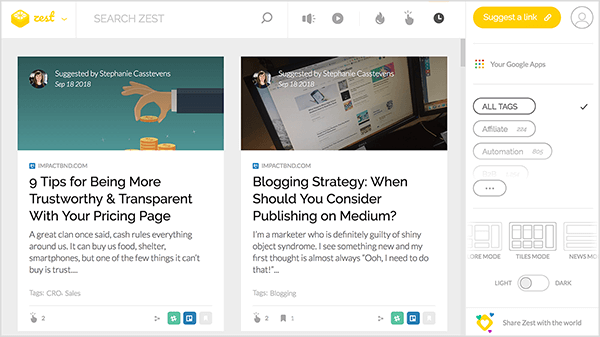 Zest is a tool for anyone who’s searching for new sources that curate content. Websites like Zest are important because Facebook algorithms rarely show content people share on Facebook anymore. Zest is specifically for content about marketing, and users can pick, submit, and upvote anything they like. You can sort content by category, most recent, the number of clicks received, or the number of shares. You can also sort by video or audio content. The Zest website is easy to use. When you create an account, you can personalize the setup. For instance, you can check the tags that interest you to curate your feed. You can also view the content in different modes, including tile (which is a bit like Pinterest), news (which shows just the headlines), or explore (which is a mix of both). Zest is a great place to search for marketing information on a specific topic, and it’s free. Listen to the show to learn more and let us know how Zest works for you. What do you think? What are your thoughts on using Facebook lead ads to collect phone numbers? Please share your comments below.